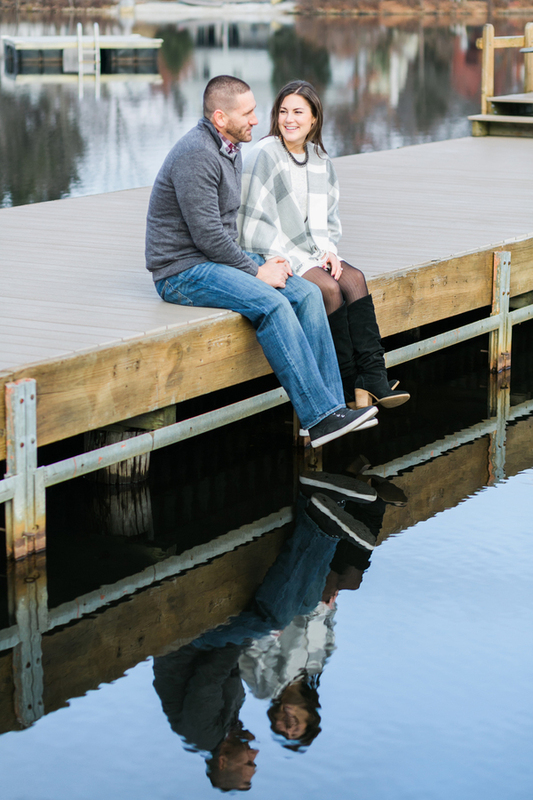 This New Jersey engagement session has the sweetest, heartwarming story that began when the couple met in while working at the same high school. 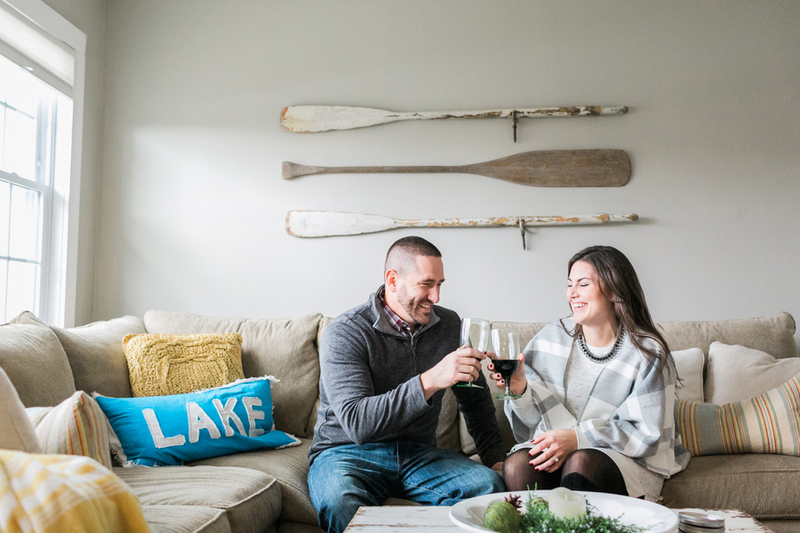 Over the years, this darling teacher duo shared many memories at their lake house, including an intimate proposal after breakfast, making it a nostalgic locale for two. But the best part? 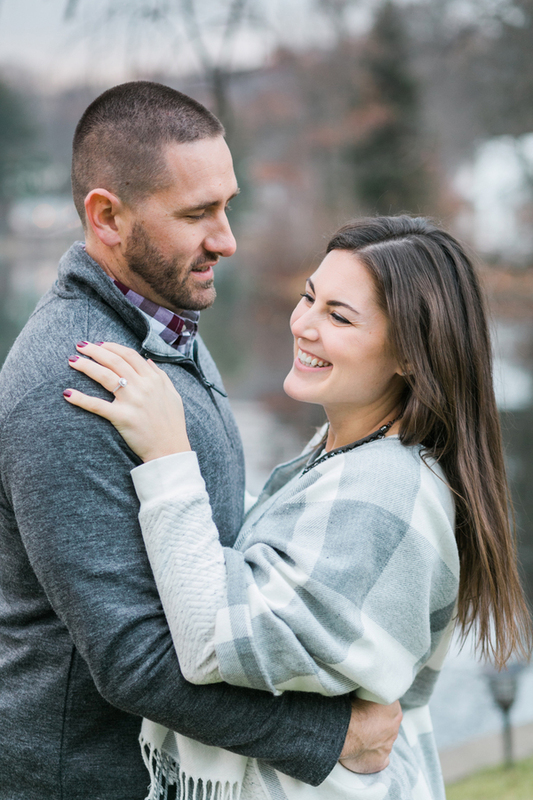 Erin and Kevin decided to have their engagement photos captured by Rosemary Green Photography during a quiet, at home session, bringing their story full circle. 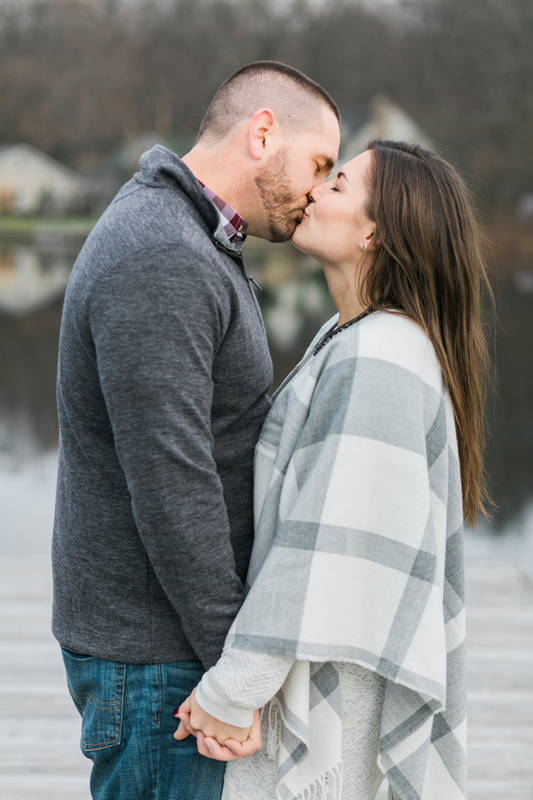 The love these two have are evident through each and every photo and we couldn’t be more excited to share some of our favorite images from their lakeside winter engagement below! 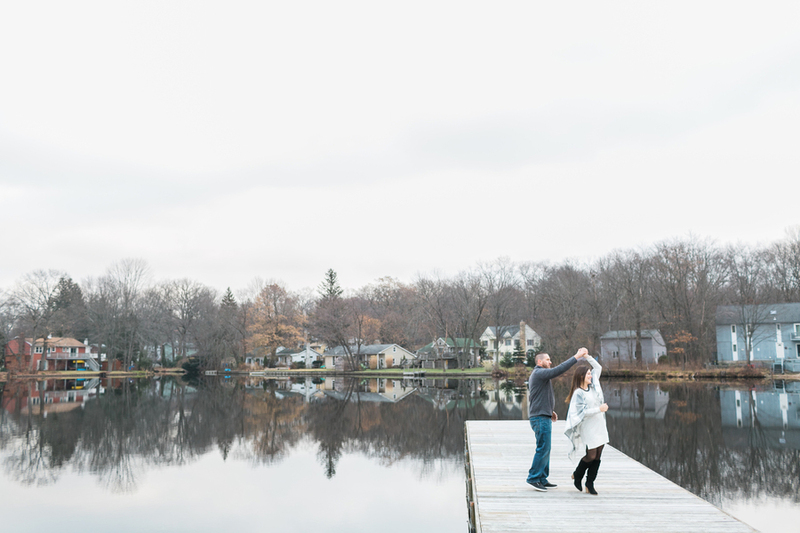 From Rosemary Green Photography…The lake house where Erin and Kevin got engaged holds an extra special place in their hearts, not just because this is where Kevin got down on one knee after breakfast one morning, but also because they spend most of their free time there. When they aren’t hanging at their favorite escape, they both can be found teaching or coaching at the high school where they met. Sports aren’t just part of their personal lives, they actually make up a big portion of their professional lives as well. In fact, we had to plan our session around Erin’s volleyball schedule when the team she coaches made the NJ State Tournament. 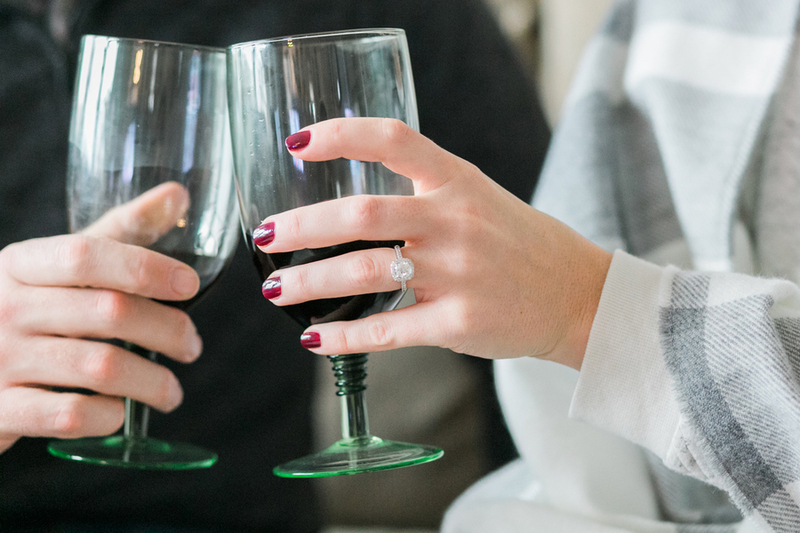 Our session was on a chilly December day, so we started inside relaxing with a glass of wine and (appropriately) watching some football together. After that we took a stroll along the lake. 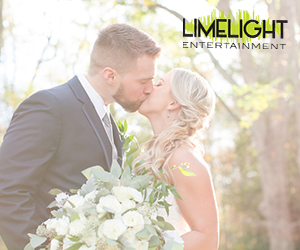 We chatted about how they met and laughed over the quirks that make them so right for each other, including Kevin’s ability to sing the entire soundtrack to The Sound of Music (not kidding! I swear!). In the end, the grey wintery day gave us a surprisingly beautiful sunset and the perfect end to romantic session. 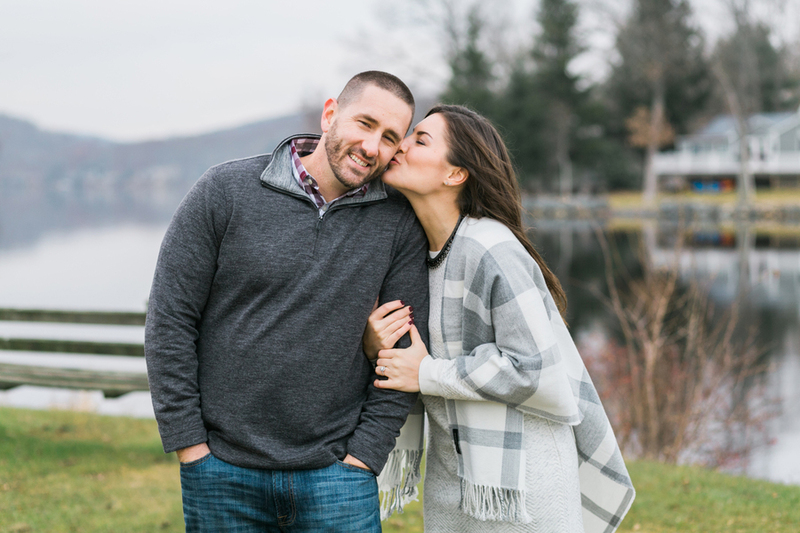 Erin and Kevin were so much fun to hang out with and I can’t wait to celebrate with them at The Barn at Perona Farms in July.